Beverly--Barbara E. (Robinson) Gudaitis, 86, passed away peacefully on April 12th at the Kaplan Family Hospice House, surrounded by family. She was the loving wife of the late Robert G. Gudaitis, with whom she shared 58 years of marriage. A resident of Beverly for 53 years, she was born in Wakefield MA and raised in Lynnfield and Lynn. She was the daughter of late Joseph G. Robinson and E. Alice (Green) Robinson. She graduated from Lynn Classical High School in 1952. Barbara was a devoted wife, mother and friend. In 1973, she began a 25-year career at Beverly Hospital, retiring as a Unit Clerk there. She worked the night shift, mostly on “the 6th floor,” as it was affectionately known at the time. But Barb was never content to have just one job or activity. In addition to taking excellent care of her family and working at the hospital, she also worked part-time at the Wenham Country Club Pro Shop for over 35 years, remaining a fixture there long after her retirement from the hospital. In fact, Barb worked at the Pro Shop as recently as last season, having reduced her hours but never her commitment and love for the Tarr family, the members and many golf leagues. She will be fondly remembered for her friendliness, sense of humor and efficiency in the shop. Barb was also an expert seamstress, called upon for many years to alter wedding dresses and custom-make veils, upholster furniture and design custom window treatments. She was also an enthusiastic crafter and for many years had a thriving cottage business with her husband Bob. At home, she loved gardening with Bob, and baking and mailing cinnamon twists for special people. Barb and Bob were also regulars at Weathervane Tavern in Hamilton, having gone there on Friday nights for about the past 25 years. The family would like to especially thank the doctors, nurses and staff at Beverly Hospital, Johnson 6, for their outstanding and compassionate care during most of her final days. 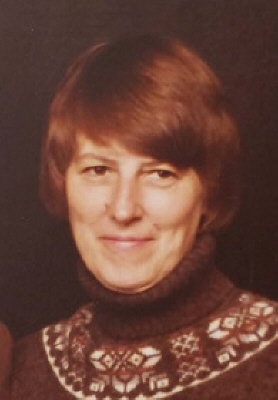 Barbara is survived by her three children, Michael and his wife Elaine of Amesbury MA; Jean Tarricone and her husband Louis of Danvers, MA; and John of New Bern, NC. She will be deeply missed by her grandchildren Nathan, Zachary and Annie Tarricone of Danvers; Ryan and Ella Gudaitis of New Bern, NC; her special step-grandchildren Morgan and Mia Kelley of Scarborough, ME, and Savannah and Scarlett Kelley of Salisbury, MA. Barb was also the loving sister of Ethel Schutt of Attleboro, MA, and the late Priscilla Beck of Greenwood, MS and the late Edna Harvey of Revere, MA. She was also the sister-in-law of Richard P. Gudaitis and his companion Marilyn McAskill of Lynn, MA and South Venice, FL. Barb also leaves numerous cousins, nieces and nephews. Visiting hours will be held at the Campbell Funeral Home, 525 Cabot Street, Beverly on Wednesday, April 17, 2019 from 9 a.m. - 11 a.m., followed by a funeral service at 11:00am at the funeral home. Burial in North Beverly Cemetery. Relatives and friends are invited to attend. In lieu of flowers, memorial donations may be made to Care Dimensions, 75 Sylvan St., Danvers, MA 01923. Information, directions, condolences at www.campbellfuneral.com http://www.campbellfuneral.com. To send flowers or a remembrance gift to the family of Barbara E. Gudaitis, please visit our Tribute Store. "Email Address" would like to share the life celebration of Barbara E. Gudaitis. Click on the "link" to go to share a favorite memory or leave a condolence message for the family.